Delicate fruit, lively character, mineraly driven, yet dryish with crisp fruit acid; produced from 40 year old wines. 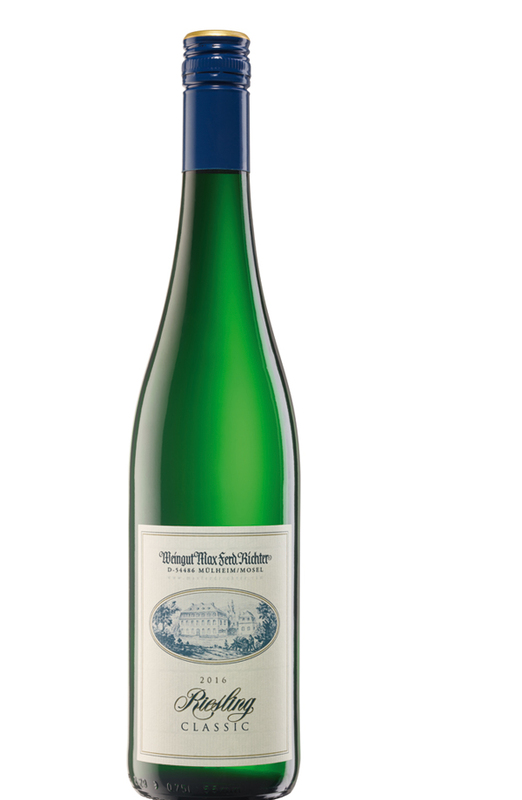 Herbal fruit notes, gooseberry and white currant flavour, smells spring time; a lively and well balanced, easy accessible wine; lean and loaded with slate stone minerals, representing clearly distinct Mosel style. Produced from grapes of “Prädikat”-wine quality but vinified somewhat drier this is the calling card wine of our Estate. It’s produced from replanted vineyards, less than 15 years in terroir, where due to its youth the expression of the single vineyard is not fully developed yet. Luscious and quintessential Mosel Riesling.